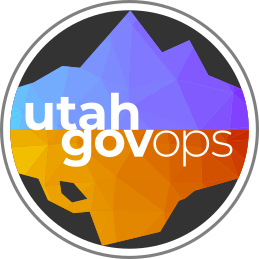 In Utah, state officers are required by both the federal and state constitutions to take an oath of office. The Constitution of the United States requires members of the legislature as well as all executive and judicial officers of the states to be bound by oath or affirmation to support the federal Constitution (Article VI, clause 3). The Constitution of Utah specifies the wording of the oath to be taken by "all officers made elective or appointive by this Constitution or by the laws made in pursuance thereof, before entering upon the duties of their respective offices" (Article IV, section 10). Note that the text has changed, effective January 1, 2017. § 78B-1-142: “Every court, every judge, clerk and deputy clerk of any court, every justice, every notary public, and every officer or person authorized to take testimony in any action or proceeding, or to decide upon evidence, has the power to administer oaths or affirmations. Once administered the Oath of Office, a state official should check with the agency that administered the oath and the official’s own agency to see if there are specific procedures in place to ensure the oath is properly filed with the State Archives. the oath of office referred to in Article IV § 10 of the Utah Constitution." § 52-1-3. County, precinct and district officers -- Where filed. Official oaths and bonds of county, precinct and district officers shall be filed with the county clerk, except those of the county clerk which shall be filed with the county treasurer. § 52-1-4. City officers -- Where filed. Official oaths and bonds of city officers shall be filed with the city recorder, except those of the city recorder which shall be filed with the city treasurer. § 52-1-5. Town officers -- Where filed. Official oaths and bonds of town officers shall be filed with the town clerk, except those of the town clerk which shall be filed with the town treasurer. § 52-1-5.1 Metro Township officers -- Where filed. Official oaths and bonds of metro township officers shall be filed with the county clerk. § 52-1-6. School district officers -- Where filed. 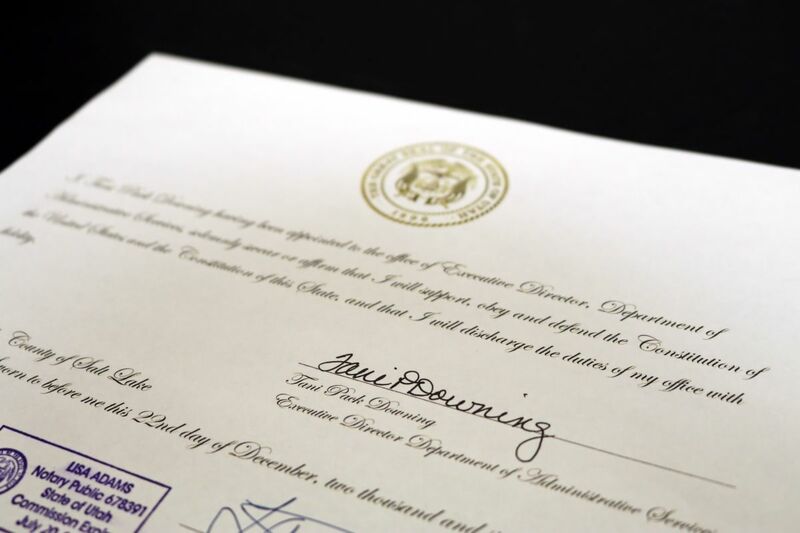 Official oaths and bonds of school district officers shall be filed with the clerk of the board of education, except those of the clerk which shall be filed with the treasurer of the board of education. § 10-3-829. Acts of officials not voided. No official act of any municipal officer shall be invalid for the reason that he failed to take the oath of office. § 17B-1-303. Term of board of trustees members -- Oath of office -- Bond. (1) (a) Except as provided in Subsection (1)(b), the term of each member of a board of trustees shall begin at noon on the January 1 following the member's election or appointment. (ii) upon the member taking the oath of office after the canvass of the election at which the member is elected, for an elected member. (3) (a) (i) Before entering upon the duties of office, each member of a board of trustees shall take the oath of office specified in Utah Constitution Article IV, Section 10. (ii) An oath of office may be administered by a judge, county clerk, notary public, or the local district clerk. (b) Each oath of office shall be filed with the clerk of the local district. (c) The failure of a board of trustees member to take the oath required by Subsection (3)(a) does not invalidate any official act of that member. Page Last Updated February 5, 2018.